If possible, tape the sign mockup to where you intend to hang it. Step back to the proper distance where your customers will first see it. If it's easily readable, then you have a winner. 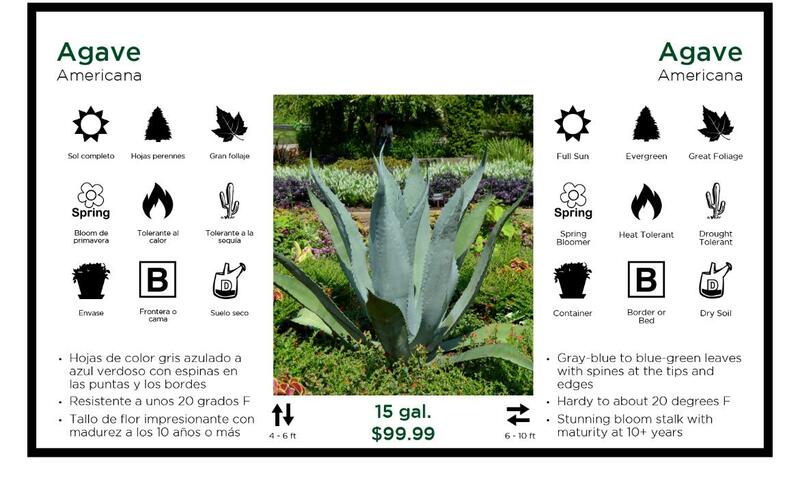 The 'S' on 'Succulents' is 4" tall and can be easily read from a fair distance. 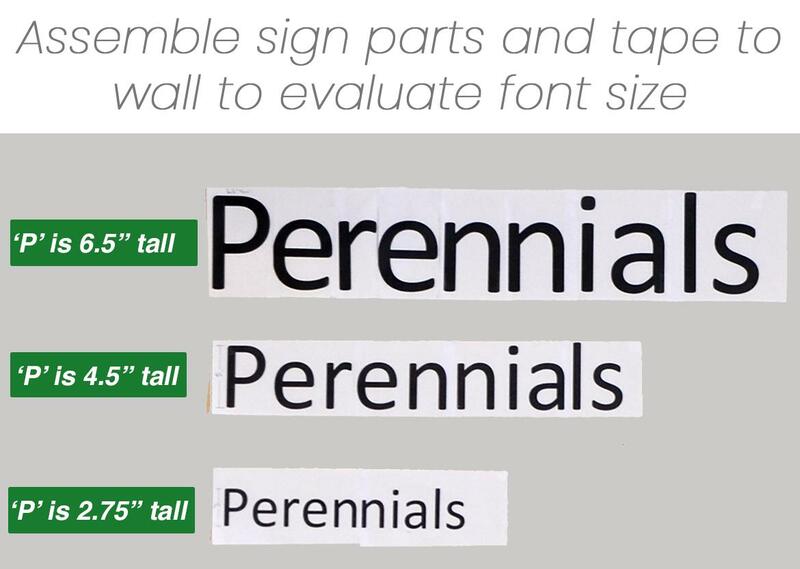 One: Put up a sign you already have to evaluate letter size. Two: Print out a word with different size letters and tape them together to create a 'dummy' sign. Put that test in the proper location to evaluate it. 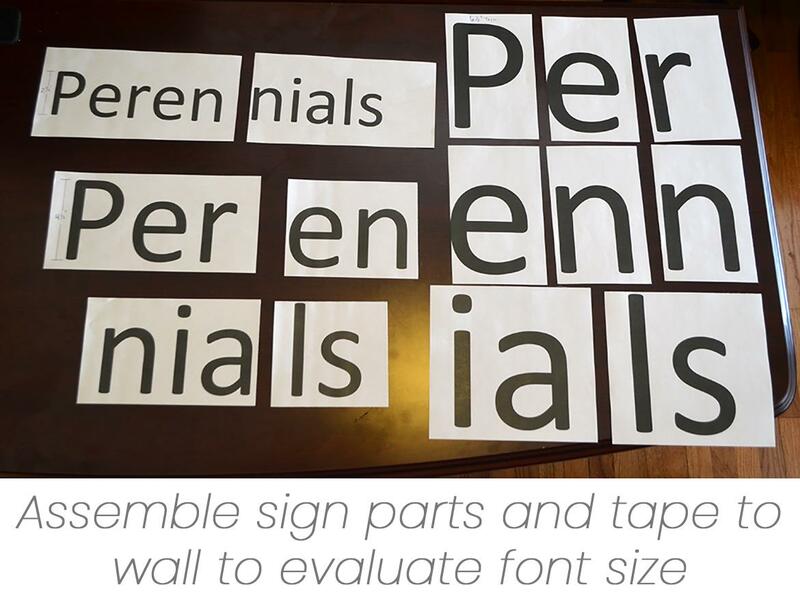 Three: Use a sharpie on blank paper to make a quick test to see how large the letters should be. In all cases, be sure to step far enough back to truly evaluate the sign size. If possible, put your test sign in the place the real sign will be and move to where your customers will first see the sign to evaluate it from that perspective. 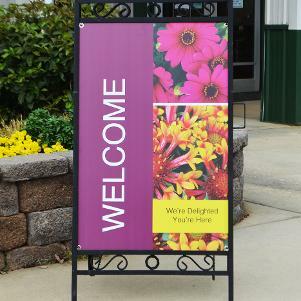 View all of our coroplast and vinyl signs for garden centers.